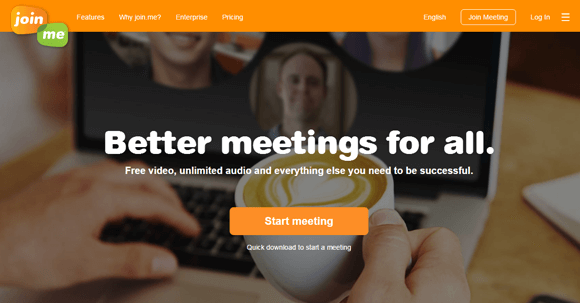 Remember NetMeeting? The video conferencing client by Microsoft that existed back in the day? It was one of the first video conferencing solutions which remained active from Windows 95 to Windows XP before meeting its demise more than a decade back. 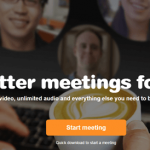 NetMeeting was replaced by apps like the MSN Messenger, which has also long bitten the dust. Over the years many screen sharing and video conferencing solutions came forward and many famous names like DimDim were either acquired or simply went out of business. Now, it’s not hard to find a NetMetting or DimDim alternative, as many modern apps and updated versions of older versions have now taken over the market, with features that enable everything from remote PowerPoint presentations to support for recording meeting sessions. Our list of the best screen sharing solutions for 2016 lists down some of the best applications and services which have braved through the test of time to make their way through to year 2016 with all their glory. 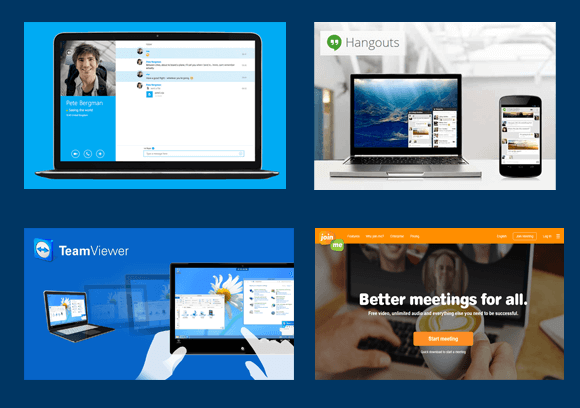 While some might simply see TeamViewer has alternative to Skype for screen sharing, it is so much more than just that. With over 1 billion TeamViewer IDs, with a rate of 30,000 registrations per hour, TeamViewer is clearly a market leader when it comes to screen / desktop sharing and remote communication apps. Back in the day one might have used TeamViewer as an app to provide remote support but over the years it has evolved into a robust video conferencing solution which can be used for anything from remote presentations, conference calls, brainstorming sessions to personal chats with friends and family members. 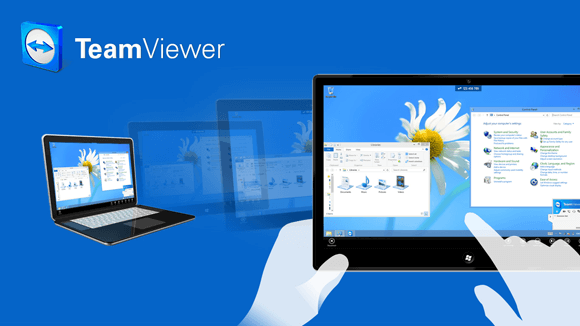 TeamViewer also sports some amazing features, such as multi-monitor support, cross-platform compatibility, support for opening multiple connections, synchronous clipboard, wake-on-LAN and more. Whether you are looking for Linux screen sharing for systems without a GUI, need a Windows screen sharing app or want a screen sharing solution across devices like iOS, Android, Mac, BlackBerry, Windows Phone or even your Chrome OS, TeamViewer has you covered. This is why this awesome screen sharing solution is No. 1 on our list. While some might be surprised to see Skype down our list, it’s worth pointing out, we still ranked it No. 2. Skype has been one of those apps which have survived the test of time and retained its original form, unlike platforms like DimDim which got cannibalized by giants like Salesforce. 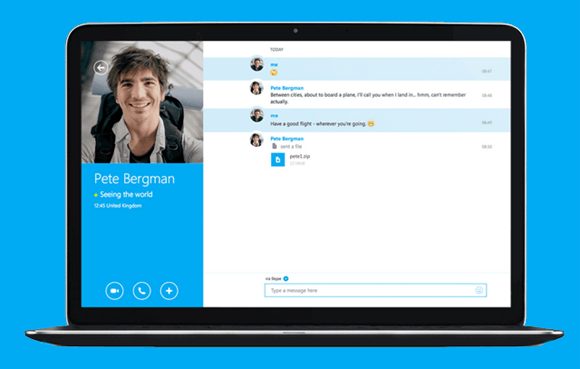 Despite a Microsoft acquisition, Skype has not undergone rebranding and is clearly one of the leading messaging apps in the market and is one of the most well-known free screen sharing software. 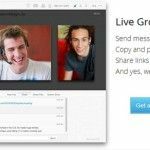 While screen sharing is not the primary feature Skype is famous for, it does offer instant screen sharing which is easy enough to use and gives the convenience of allowing you to make the most out of your video conferencing sessions, which is something that Skype is best known for, i.e. the ability to provide cross-platform video conferencing using virtually any device. And if you’re a teacher at school, don’t forget to play the Mystery Skype Game with your students. Google Hangouts is one of the youngest messaging services which is loved by some and others simply don’t want anything to do with it. Google Hangouts has come a long way since its inception a few years back. Its lack of use can perhaps be attributed to the failure of Google+, with which it comes tightly integrated, along with other services like Gmail. Nonetheless, Google Hangouts is not just an excellent video chat app but you can also share your screen and even become a remote presenter. 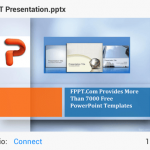 The presenter can start a screenshare and benefit from a free screen sharing solution with cross-platform compatibility. Google Hangouts supports all major platforms and can even be used via web browser. For desktop computers, Google Hangouts can be used via Chrome extensions, this include Windows, Linux and Mac OS. 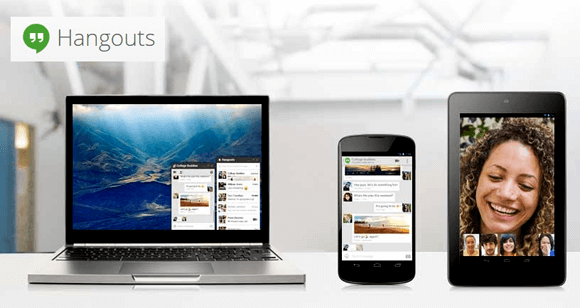 For mobile platforms like iOS and Android, you can also use Hangouts using standalone apps. Join.Me is another easy to use video conferencing and screen sharing solution which is not only suitable for enterprise users but also for average users looking to start or join an online meeting or screen sharing session. Join.Me has some awesome features, such as the ability for multiple presenters to present a presentation, the ability for users to join a session without the need to sign up, dedicated conference lines for dozens of countries and more. JoinMe is available via web browser and also has dedicated apps for Windows, Mac, iOS & Android. ScreenLeap is a screen sharing program, which can best be described as an enterprise online screen share solution. You can not only make use of its free (although limited) functionality for holding remote meetings but also make use of it as a software for presenting your presentations, ideas and brainstorming for projects. Similarly, you can conduct one on one sessions with colleagues by using ScreenLeap as a virtual meeting software. Using the ScreenLeap API you can even add the functionality for screen sharing online for your website. The only consideration for users looking to use the free version would be that the free edition has limited features such as a limit of 8 viewers and screen sharing availability for just 1-2 hours per day. ScreenLeap is a dedicated solution for users looking for a solution to screen share online and its main utility might be more geared towards enterprise users. ScreenLeap differentiates screen sharing by providing desktop and browser sharing separately. For desktop sharing you can use a desktop app for Windows or a Mac app for screen sharing Mac desktops. For browser sharing you will require using the Chrome extension and only the content of your browser will be shared. Mikogo is one of those screen share solutions which requires no installation for participants. For participants, it is solely browser based and works without Flash or the need to download any screen sharing software. Unfortunately, you cannot use Mikogo as a free web conferencing solution, as it is more of an enterprise online meeting software which is more useful if you have a paid account. While users can join in for free, the number of allowed participants depends upon your package. The free version only allows 1 participant, whereas the Professional edition enables up to 25 participants, with scope for opting for a custom solution with your desired number of participants. For the latter you will require contacting the Mikogo administration to get a custom edition to suit your needs. Some of the major features of Mikogo include; session scheduling, multi-monitor support, multi-user whiteboards, recording for screen and audio, custom branding support for logos, website integration and cross-platform apps for Windows, Mac, Android & iOS.